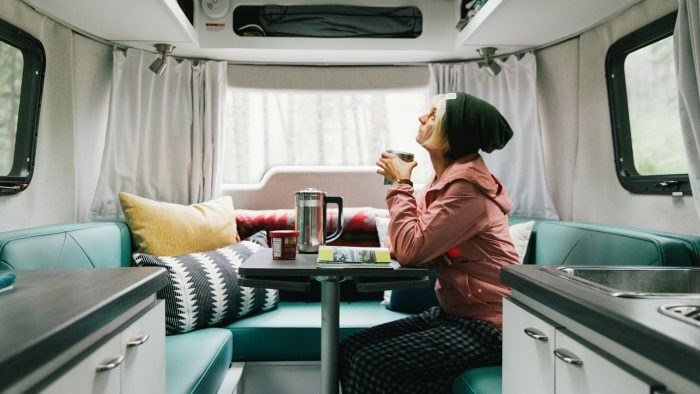 The first single-axle Airstream travel trailer launched in 1961, and it was affectionately nicknamed the “Bambi.” Today, we apply the Bambi name to all single-axle Airstream travel trailers, as a distinction for people who are looking for our most agile and, honestly, adorable models. They’re immensely popular, not just because of how they look, but also because they’re easy to tow and incredibly versatile – proof that great things really do come in small packages. Bambi travel trailers range from 16 to 22 feet in length. To put that into context, an average car is around 15 feet long, while trucks are generally around 20 feet long. So, Bambi travel trailers aren’t much longer than your average vehicle on the road. 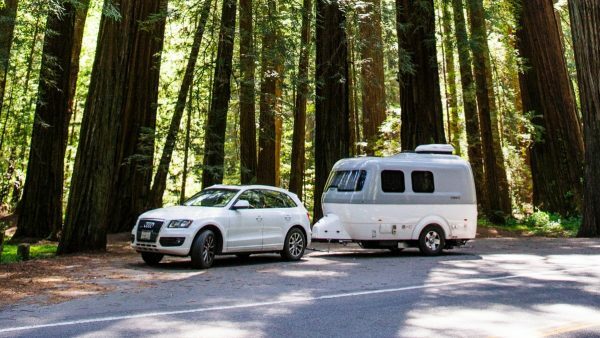 Because Bambi travel trailers are small and lightweight, they’re inherently easy to tow. 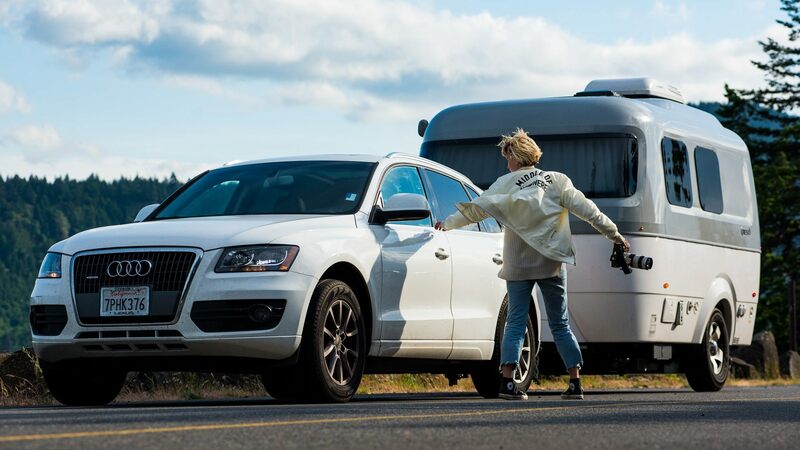 In fact, you can usually tow a Bambi with an SUV – which means you don’t need to have a truck to enjoy a travel trailer. And less trailer weight usually means better fuel efficiency. The axle of the trailer refers to a shaft that rotates a set of two wheels. 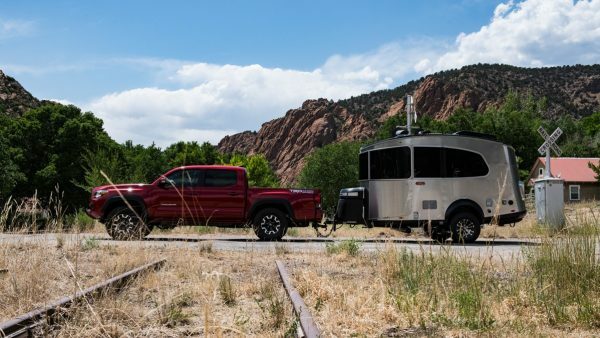 A Bambi travel trailer has one axle and one set of wheels. 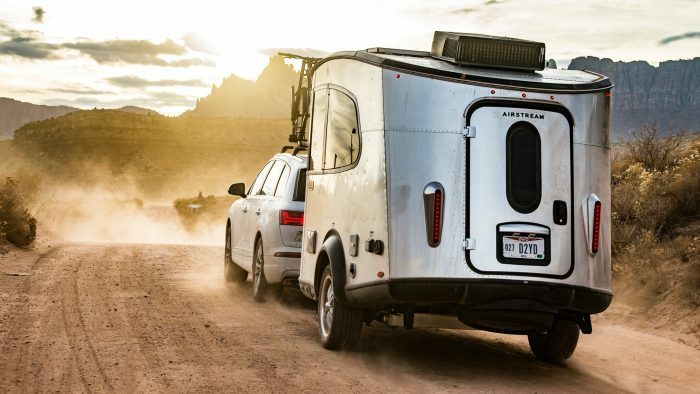 Because there are only two wheels and tires, maintenance costs can be lower with a Bambi travel trailer. 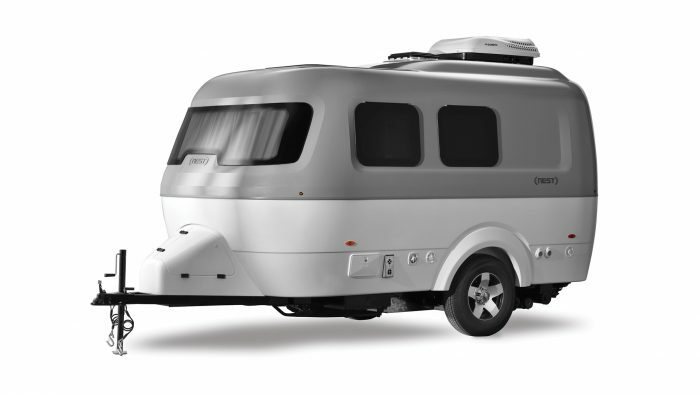 The iconic Airstream aluminum shell makes Bambi and larger travel trailers equally aerodynamic on the road. 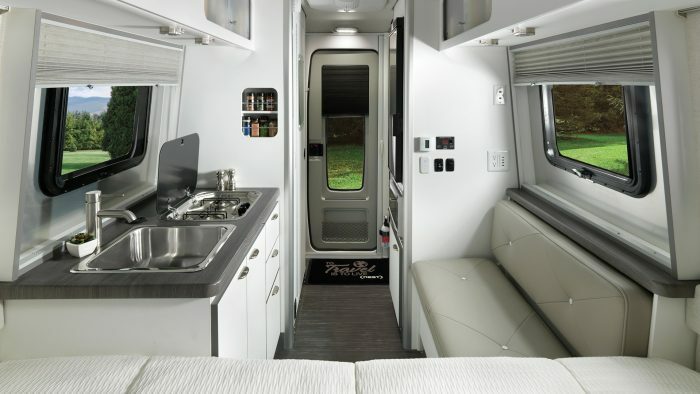 Even our Nest and Basecamp travel trailers are designed to reduce wind resistance. 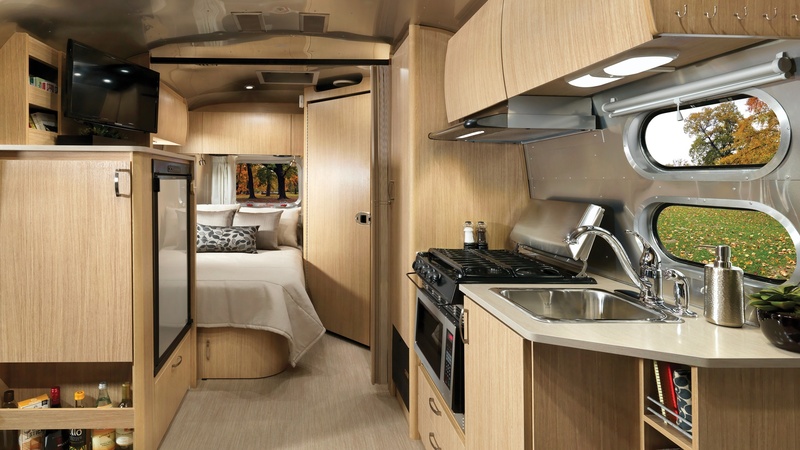 Standard double-axle Airstream travel trailers range from 23 to 33 feet in length. 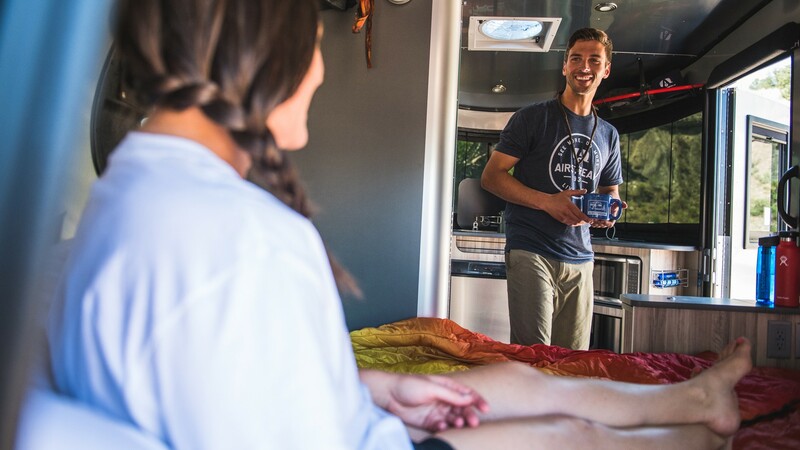 That means double-axle travel trailers are longer than SUVs and trucks on the road, but shorter than most commercial or heavy-load vehicles. Because double-axle travel trailers are heavier and longer, they can be more stable to tow in inclement weather or high winds. You can also inherently bring more along with you inside a double-axle trailer – more gear, more luggage, more of the things you love. The axle of the trailer refers to a shaft that rotates a set of two wheels. A double-axle travel trailer has two axles and two sets of wheels. Often the weight distribution across four wheels and tires instead of only two can mean your wheels, brakes, and tires last longer. 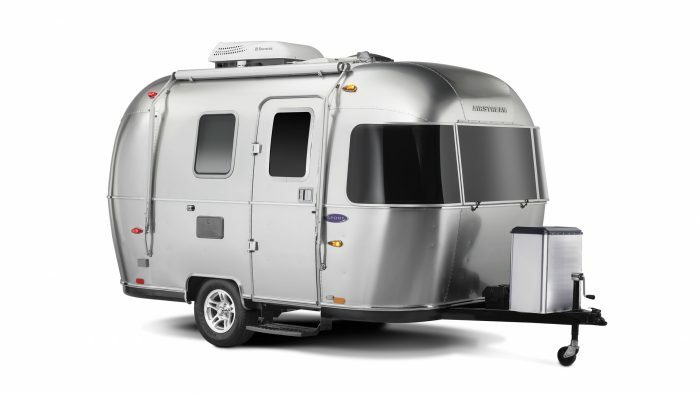 The iconic Airstream aluminum shell makes smaller and larger travel trailers equally aerodynamic on the road. No matter the length of the trailer, the curved shape lets you slip through the wind on the highway and achieve incredible fuel efficiency. Single-axle Airstream travel trailers range from 16 to 22 feet in length. They’re smaller, more lightweight, and easy to tow. In fact, you can usually tow them with an SUV. 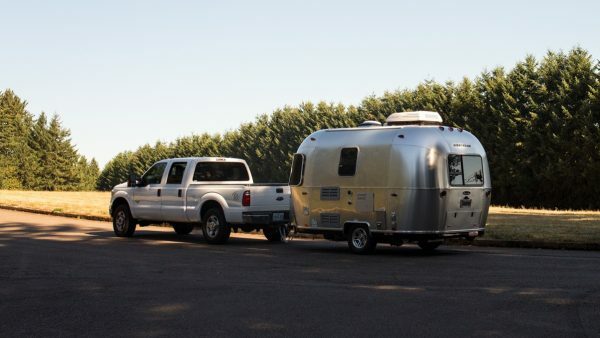 Double-axle Airstream travel trailers range from 23 to 33 feet in length. They’re heavier. longer, and can be more stable in inclement weather or high winds. 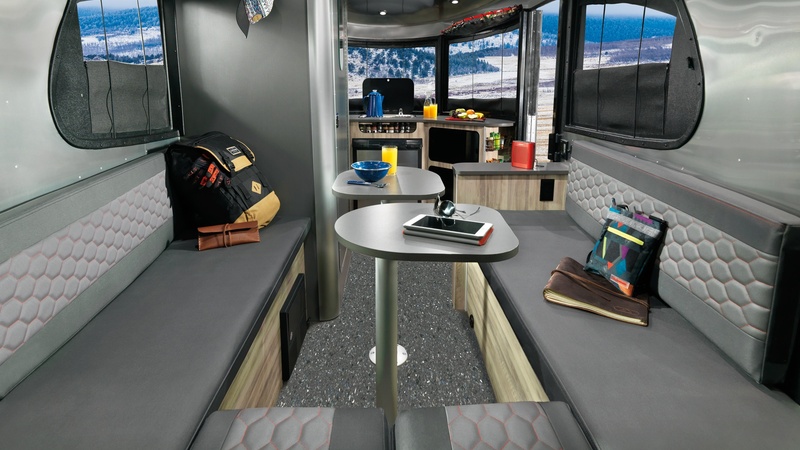 You can also inherently bring more with you inside of the trailer. 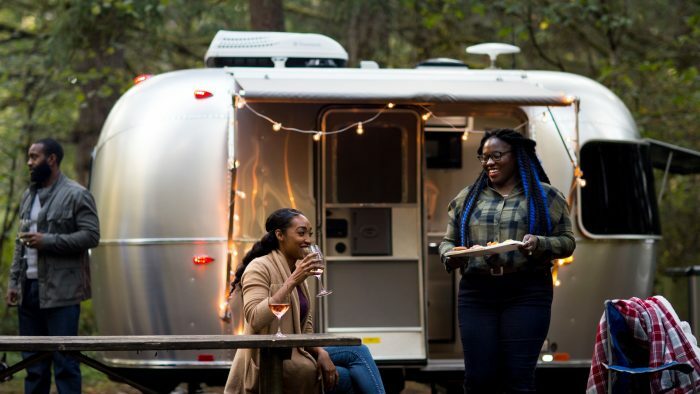 From the approachable size to the amenities cleverly included inside, hear Airstream CEO Bob Wheeler explain why so many people choose a Bambi travel trailer as their first foray into Airstreaming. Bambi travel trailers have always been a favorite among Airstreamers. Back in the 1960s, Americans were looking for shorter, lighter, more fuel-efficient automobiles, but those vehicles inherently lacked the power to pull a heavy trailer. The Bambi’s genesis was a proactive response to this nationwide trend, and continues to be a perfect fit for people with smaller vehicles who want to hit the road for the adventure of a lifetime. Where did the Bambi get its name? 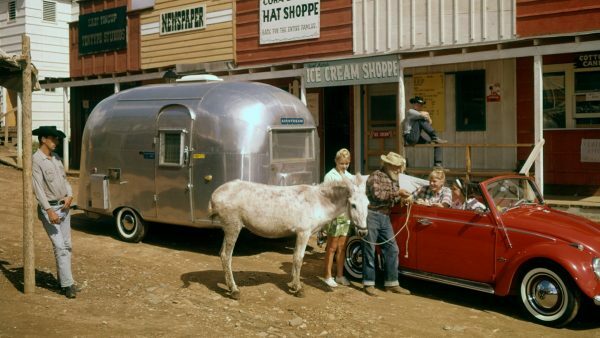 The first 16-foot, single-axle Airstream travel trailer was created in 1961. It earned the “Bambi” nickname on the famous Cape Town to Cairo Airstream caravan through Africa, led by Airstream founder Wally Byam. When Wally learned of a miniature deer revered by the Angolan locals, known for its strength and sure-footedness, it was only natural that it became the trailer’s namesake. The beloved creature was called “O’Mbambi” in the Umbundu dialect of the Bantu language.